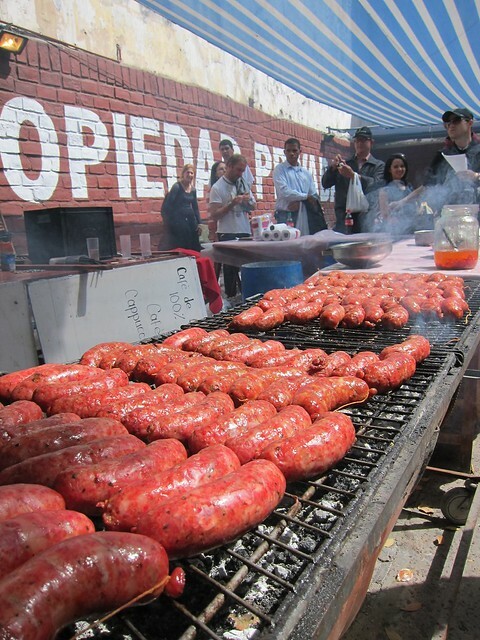 We came across El Rey del Chori ('The King of Chori') while wandering around the San Telmo Sunday market. 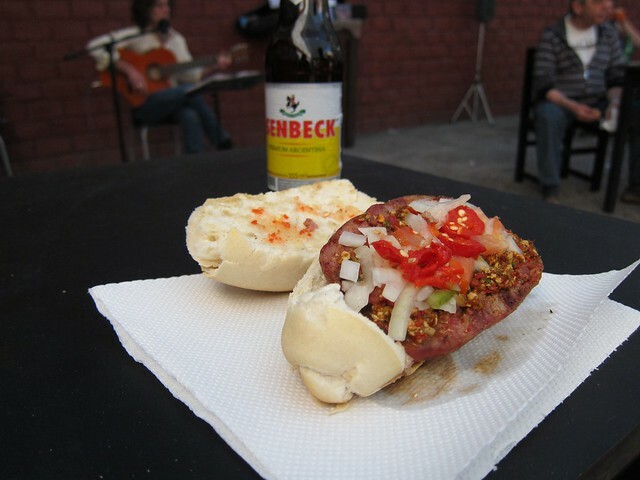 On offer were three meat sandwiches, the most popular being choripan (chorizo +), with your choice of toppings: onion and tomato relish, hot pickled peppers, and a hot pepper salsa. 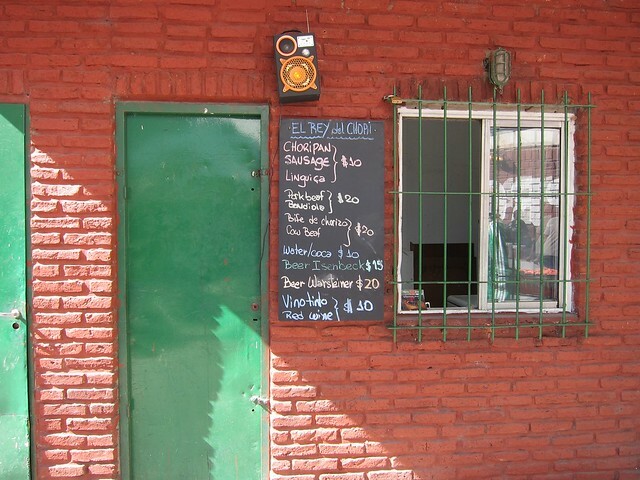 On a sunny day, with live music on the patio, these tasty sandwiches go perfectly with a cold beer!